This page will be for awards.The ones I have won will be on the top. If you don't care about MY awards(I completely understand) scroll down to the bottom to see the awards YOU can win. Because I'm an idiot I decided to show the awards.I've realized my mistake and have decided to delete the awards you can view.You can still apply for an award below or email me! I've also decided to add rules to the awards. 4.Please sign my guest book!!! 5.Please choose ONE award. As in uno,1,one! I had people ask for four or five and that's just too many. I was on overload. One is good. What your site needs for a certain award! Going Up! : For a newer site(4 months and up)off to a good start! 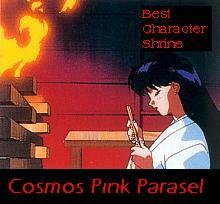 Great Character Shrine: Your site needs to be about one character from Sailor Moon. Great Villan Shrine: Needs to be about a villan from Sailor Moon. 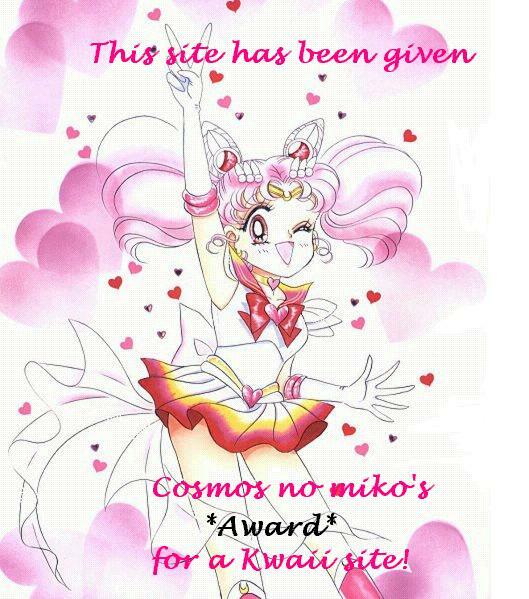 Great Anime Site: Your site needs to be about or have info on the Sailor Moon anime! Great Image Gallery: Your site MUST have lots of images! 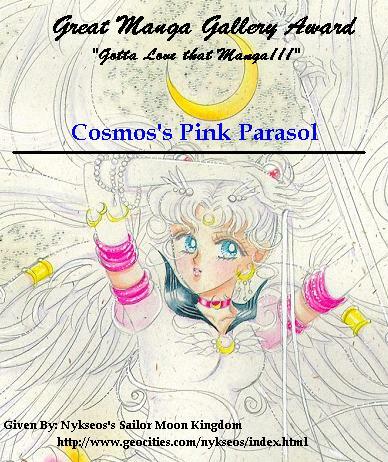 Great Sailor Cosmos Site: HELLO! 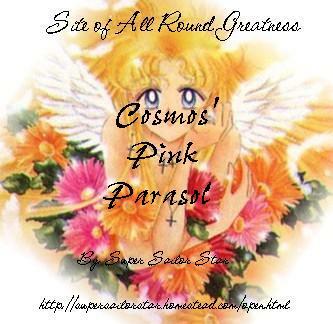 !Your site MUST be about Sialor Cosmos.No more explaing needed. Lovely Site: Your site needs a good layout with matching colors(nothing that hurts the eyes)with beautiful graphics. 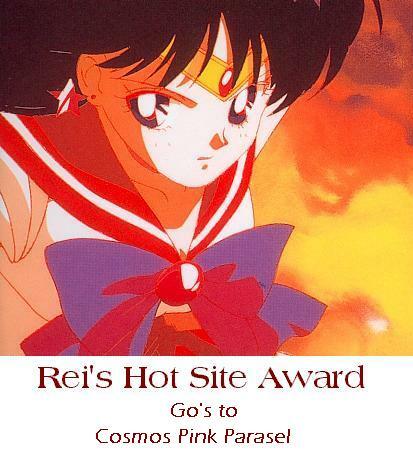 Sailor Mercury's Smart Award: For a site with good info! Sailor Moon's "what a great site! 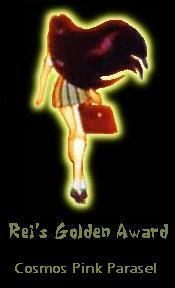 "Award: For an all-around great site!! Email me if the form doesn't work!